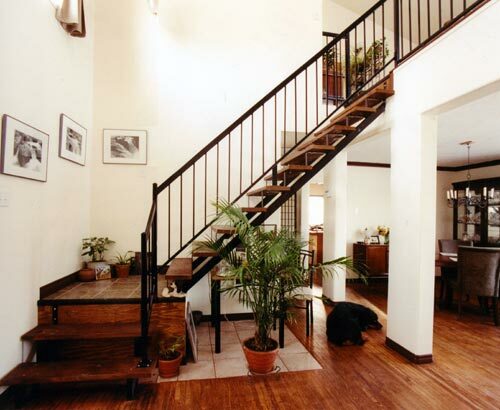 Artistic Iron Works in, Regina, Saskatchewan, Canada is a supplier of easy to assemble, do-it-yourself steel stair stringers and steel railings. Many size and choice options are available. 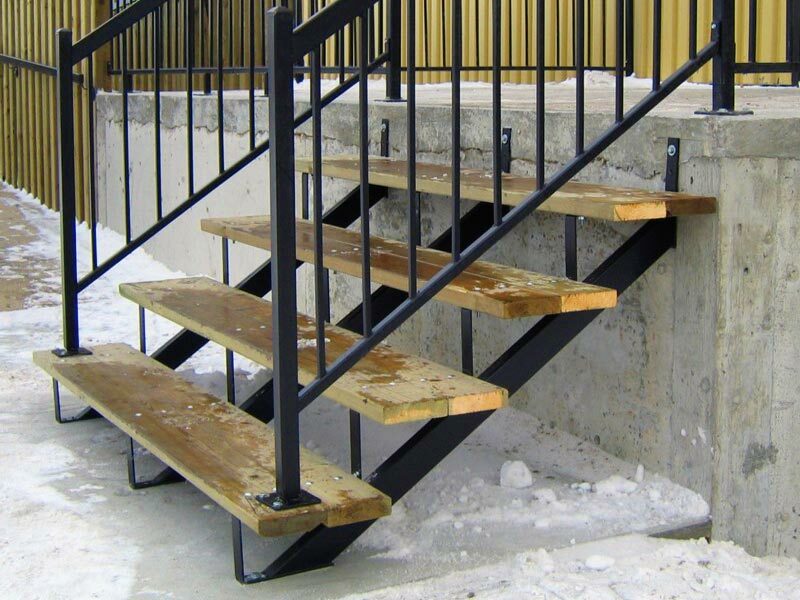 Artistic Iron Works in, Regina, Saskatchewan, Canada is a supplier of easy to assemble, do-it-yourself steel stair stringers and steel railings. Many size and choice options are available. with Treads with either a 9 or 10� inch Run. 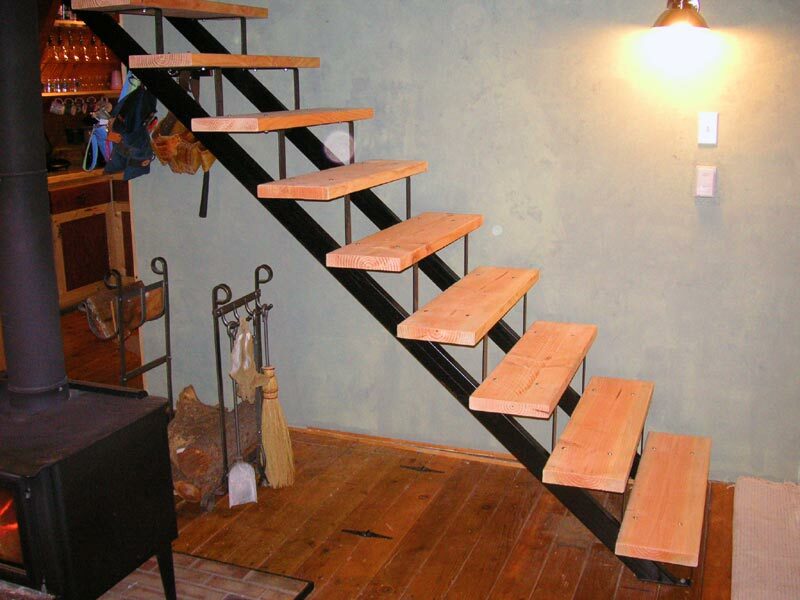 * TREADS or steps are wood planks (not supplied), usually 2x10 , 2x6 or 2x12 planks. Also some Lumber Yards carry a plank cut just for stair treads. * RAILINGS are priced by the side with a post on the Top Floor and Bottom Step with bolt on intermediate legs. The railings priced below are our "Classic Slip & Lock Line" with all straight bars. Please visit our Classic Railing Page for other choices and information on these railings. For specifications and to determine what stringers you require, please click here! Need Help??? CLICK HERE For Our Help/Order Desk. Planks, Freight & Taxes (if any) extra. 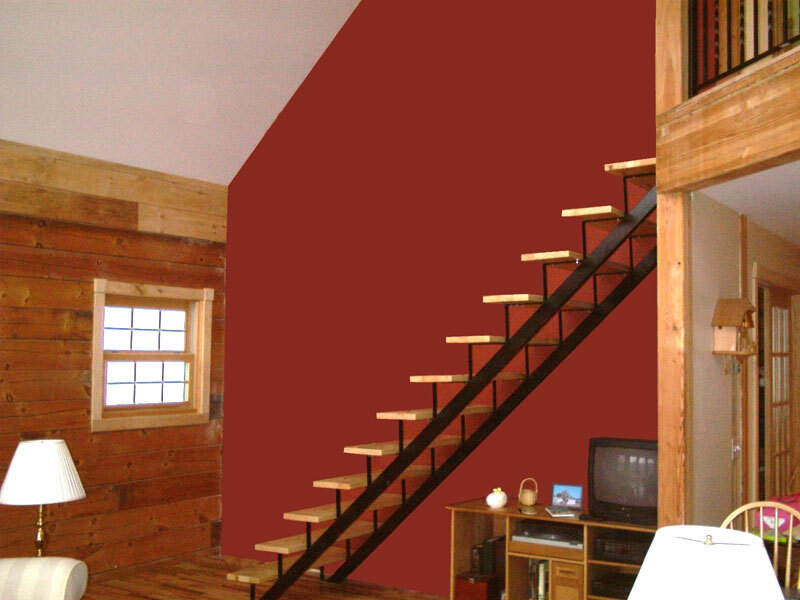 "BUILD YOUR STAIRS THE EASY WAY"
*Prices are suggested retail. Planks, freight & taxes extra. Stringers are priced per pair but you may order 1 1/2 pair if needed. Copyright � 2000-12 "Artistic Iron Works". All rights reserved.